Indiana offers cost- effective handrails system that are widely used to guard platforms, stairways, walkways, towers, danger zones and other areas where safety is a prime concern. These modular system are preferred not only cause it helps ensure maximum safety at site but also as site welding is not required and wastage is controlled. Indiana also supplies custom made fabricated handrail as per client. These are lighter than solid types, having similar load carrying Capacities, but not recommended in highly corrosive weather conditions. 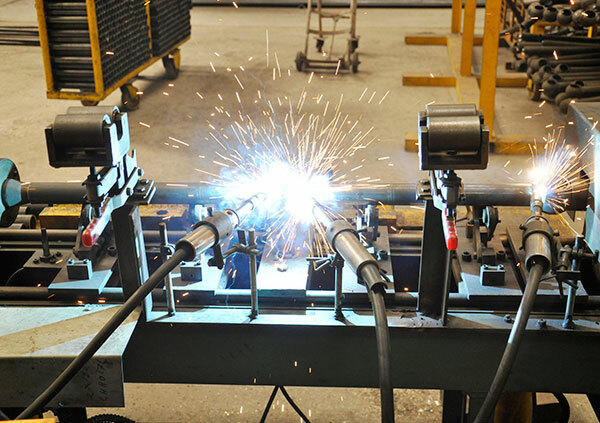 These are tubular type wherein the shank is attached to a ball using a sophisticated welding procedure. These are heavy duty type with better load carrying capacity, and are specially recommended for highly corrosive weather conditions.